Don’t go insane at Christmas. 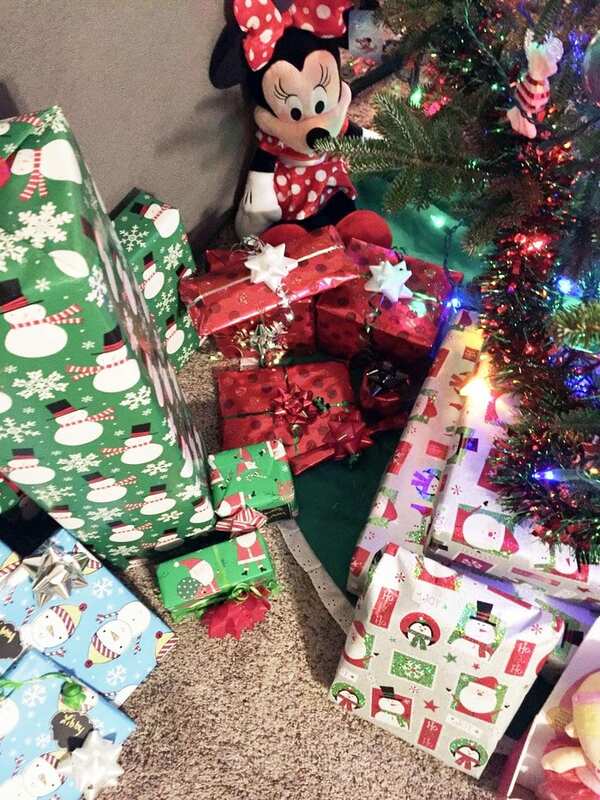 Use some of these fun hacks to make Christmas easier, more fun and magical. 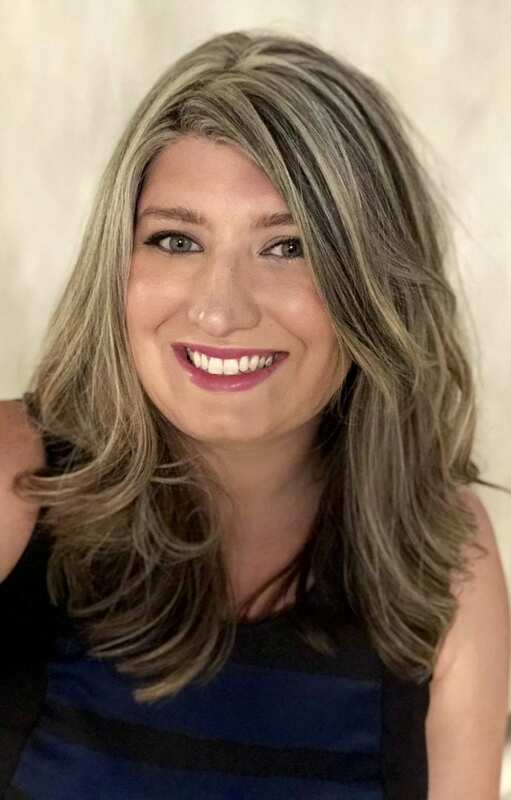 I have a toddler and a baby, so I know what it’s like to be limited on time. 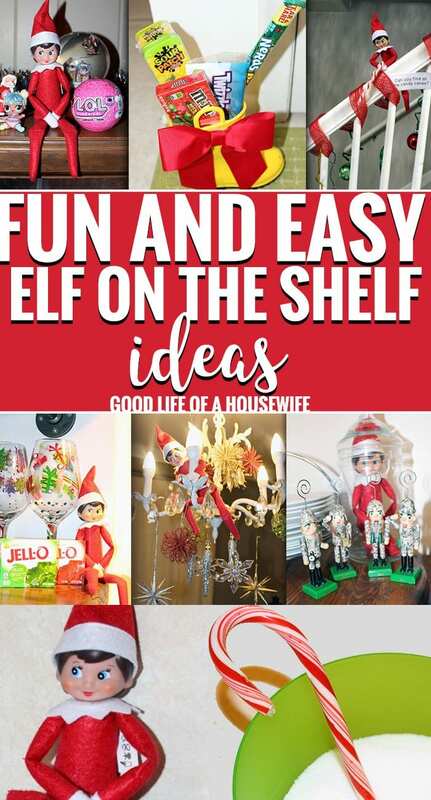 As a busy mom, here are some of my favorite Christmas Hacks. 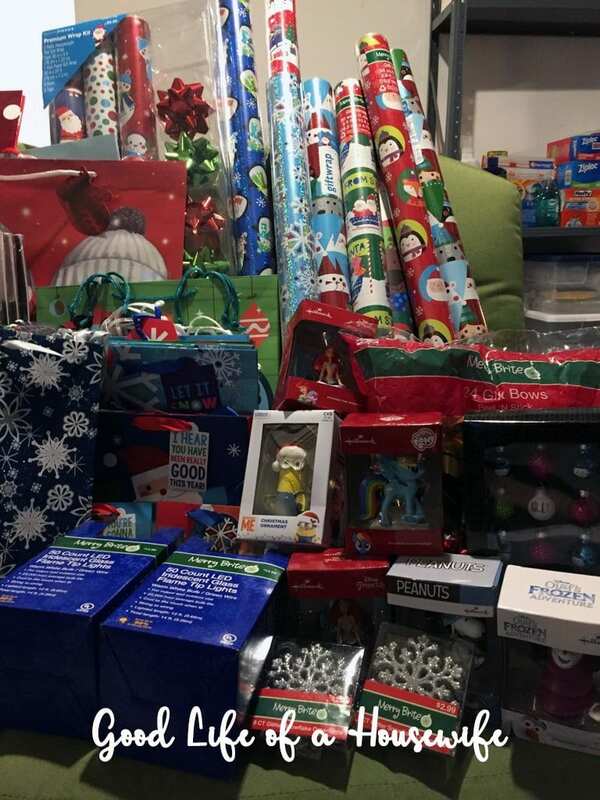 One of the biggest to-do’s of the holiday season is wrapping presents. 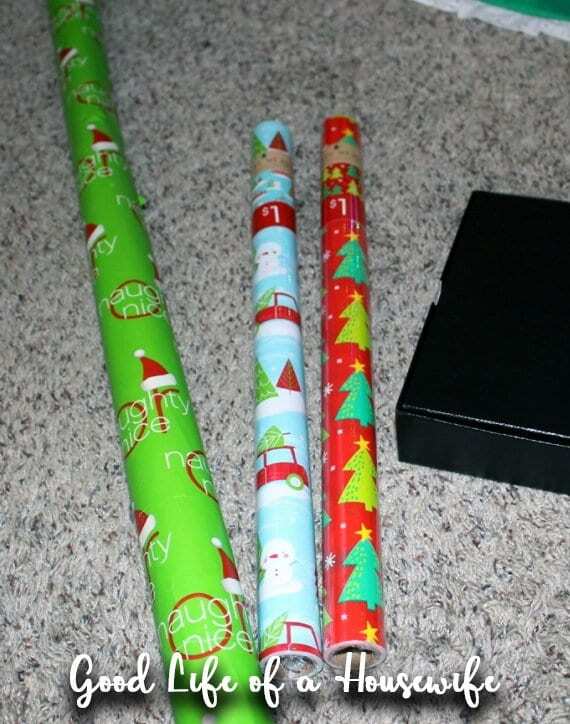 Don’t cut and measure out the big rolls of wrapping paper when you can use these small rolls and save time. They are perfect for christmas books, small toys and small clothing boxes. I usually find these in the dollar bins at Target. There are always tons of deals at Christmas. If you are an online shopper checkout Ebates before buying anything. Most major stores have tons of deals that you can cash out on. Ebates gives you all the special promotions and cash back offers in one spot. Since I started I’ve earned over $264.00 in cash and saved tons at checkout by using their coupon codes. Ibotta is an app for your phone that allows you to save money on groceries and store purchases. They have a list of items that they offer rebates for. It’s fun to watch money add up here and there. It’s also fun for friends because as people join, they become part of your team. As you redeem rebates together, other bonuses can be unlocked to earn more money. They also offer a $10.00 bonus for active users. 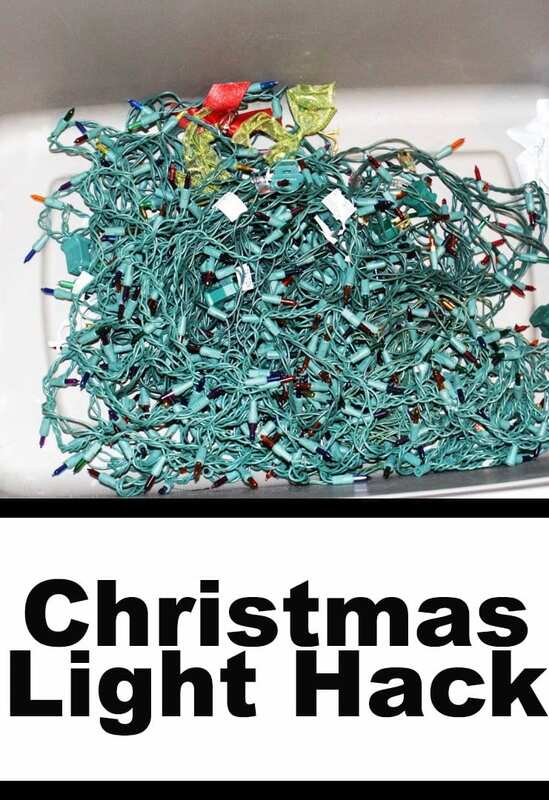 Instead of throwing lights in the bin, I gently wrap them around a hanger. I leave the end you plug in at the top the hanger so I can check them before I use them. It’s so easy! Best of all it’s free. We had lots of those plastic hangers since switching over to velvet hangers when I gave our small master closets a makeover. At some big retailers you have like three days to get the good stuff. 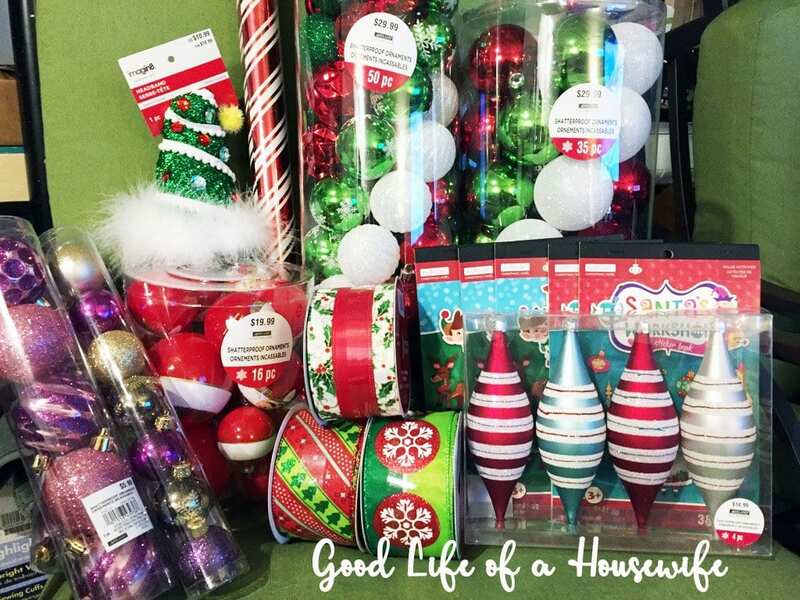 This year I shopped at Michaels and CVS and scored HUGE Christmas savings 75-90% everything. It was awesome picking up so many shatterproof bulbs at 90% off. Busy Moms don’t want to forget anything. 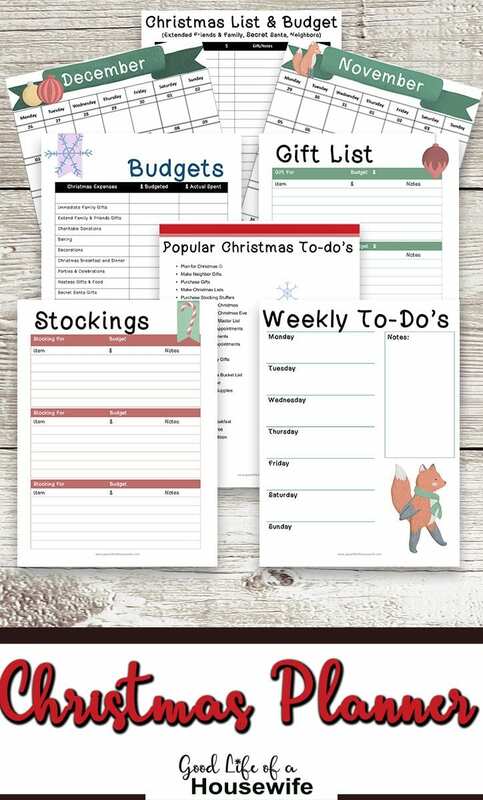 Use my free Christmas Planner to have all of your to-do’s and to-buy’s in one spot. Save it for next years memories and jumping off point. 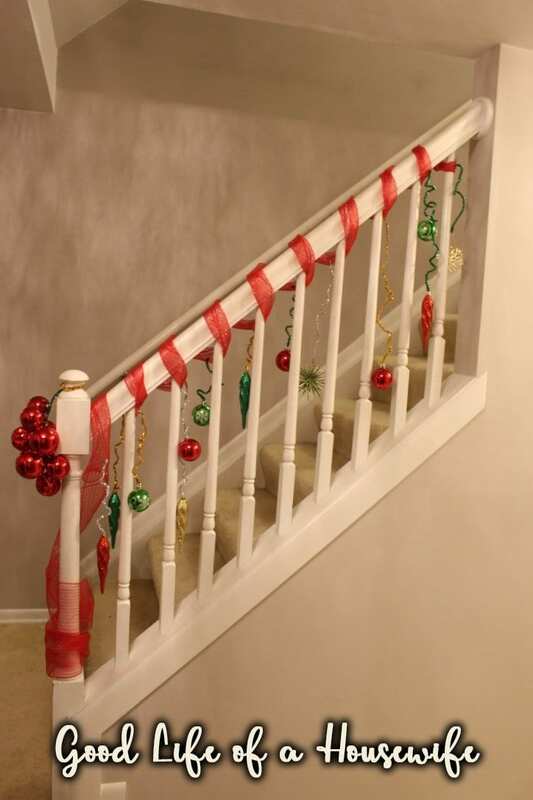 Don’t get overwhelmed by decorations. 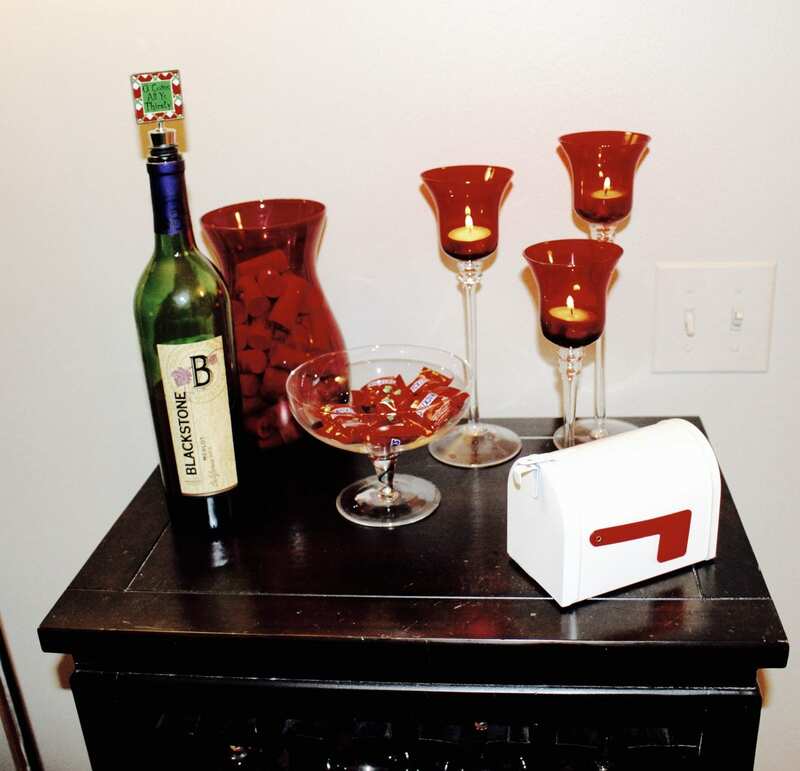 Decorate with red so there is less stuff to put away. 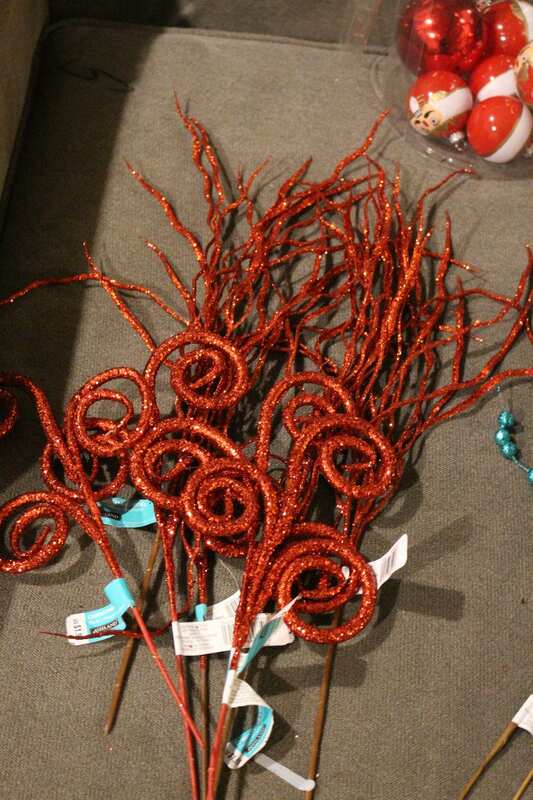 Try red vases, candles, and winter inspired wreaths. 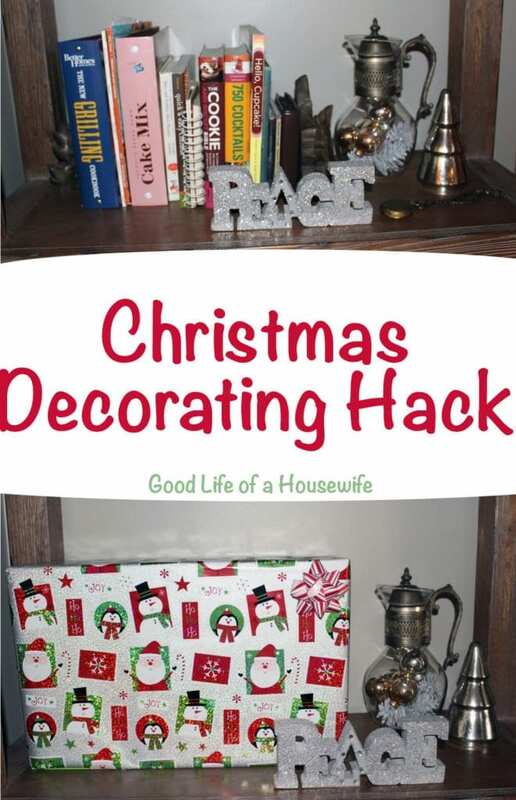 The magic and gorgeous Christmas decor doesn’t have to go away just because Christmas ends. We are going for a Grinch themed Christmas. I used mesh ribbon from the Dollar Tree. I tied shatterproof bulbs to a pipe cleaner and twisted them in different directions for that Whoville look. We always go back and fourth over the star and the angel. 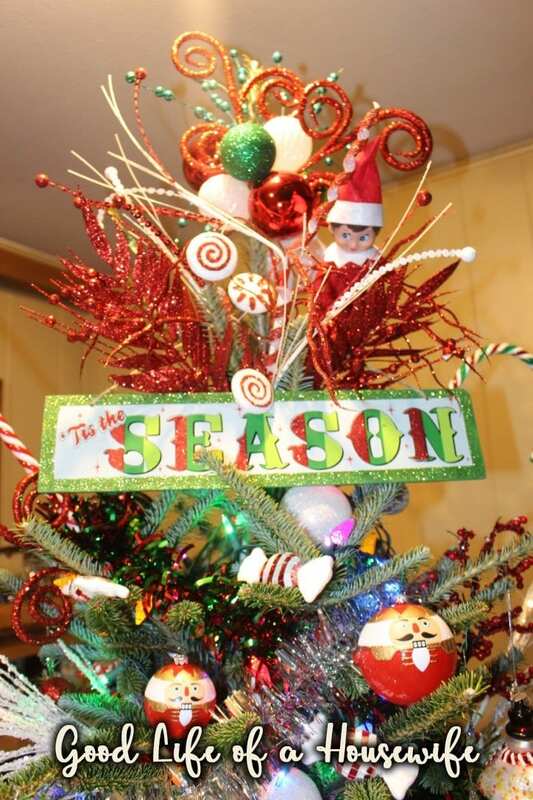 This year, carrying the Grinch theme I placed a whole bunch of bulbs and Christmas floral stems at the top of our tree. It turned out soo good and looks so magical. 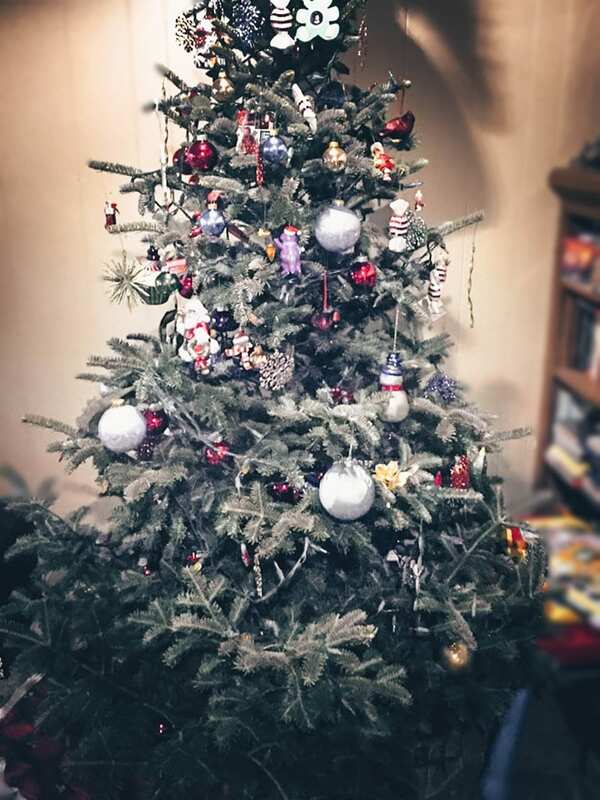 This was our tree last year. 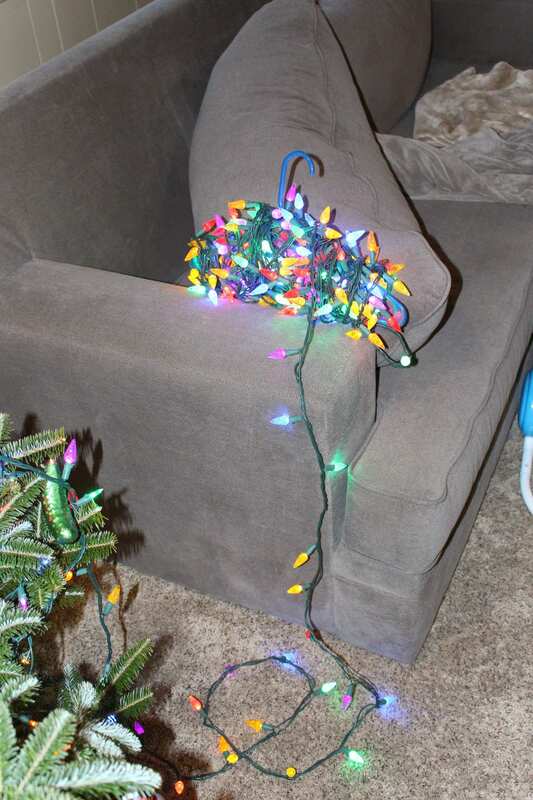 We lost a lot of bulbs to toddler fingers. Everything slowly made it’s way up the tree as Libby pulled them off the bottom. 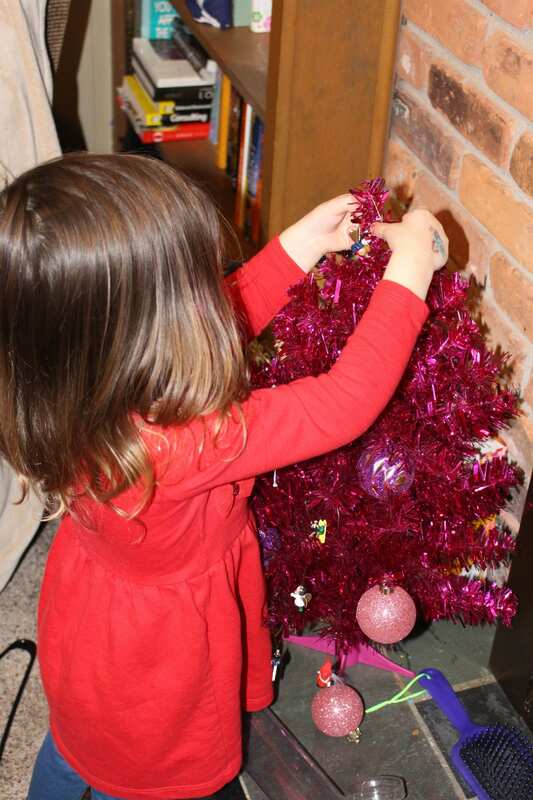 Get your toddlers their own small tree so you they can decorate exactly how they want. Plus you can also have your pretty family tree..
It’s so easy to get caught up with all the cooking at Christmas. Don’t over commit yourself. If you have small kids offer to bring a dessert to parties. If you’re like me, you will probably be running late. I swear it takes like an hour and a half to get out the door. Why get stressed about getting an appetizer there on time? We also keep it low key and have been doing cinnamon rolls on Christmas morning. 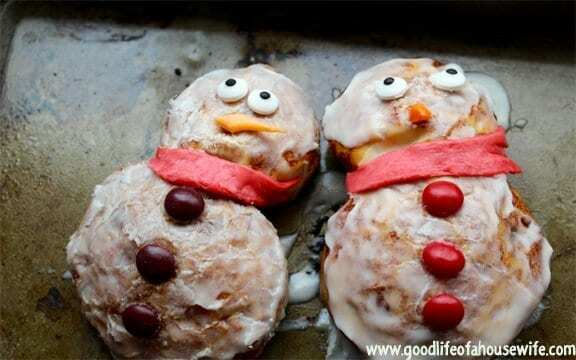 Sometimes I get crafty and make cute snowmen. Sometimes we just eat cinnamon rolls. Don’t forget to get your free Christmas Planner and sign-up for Ebates to save cash back on your Christmas shopping and get free money.